Nose: Sweet vanilla with tropical fruit aromas, pineapple and kiwi. Complimented by a lingering hint of toffee. menthol not develops in the background. with a creamy milk chocolate edge. Cask Type(s): 1st Fill Bourbon Barrels. Whisky Style: Light Speyside dram. 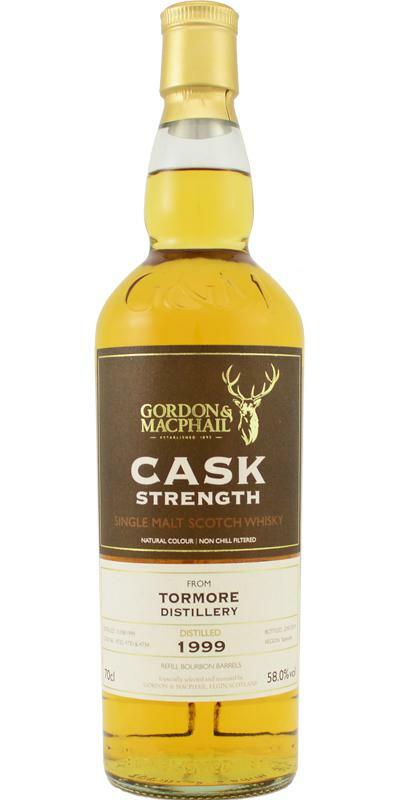 A beautiful whisky with a steady delivery, you got on the palate whats expected from the nose and it is keeping the profile through out the finish. Vanilla and caramel on the nose, creme brûlée, citrus and marshmallows. It's warm and coats the palate with an oily texture. Sweet-bitter. steady delivery with vanilla, custard and lemon rind. Water bring some more sweetness but there is still fresh lemon rind adding bitterness to the profile. Also hints of table salt comes through with water. The finish goes from sweet-bitter to bitter-sweet with aromatic oak, wood spice and vanilla sugar. Water brings some more oak in the finish.